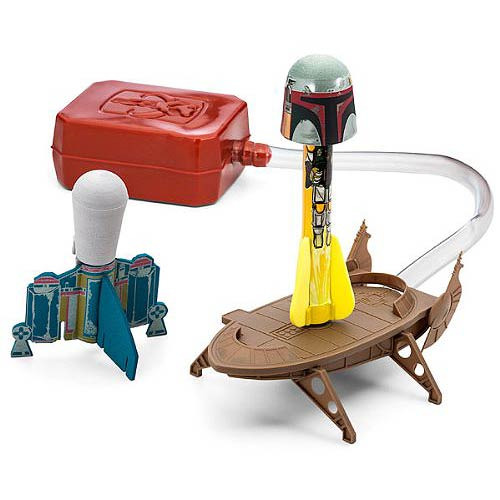 Launch Boba Fett sky-high and perform 3 different aerodynamic experiences with the Star Wars Boba Fett Launch Lab Rocket Launcher! Step on the launch pad and watch him soar up to 50 feet. Recommended for ages 5 and up. No batteries required.